That’s according to Chris Fraser, Commander of the Flathead County Sheriff’s Posse. The Posse was recently awarded a check for $5,000 from CoBank, a cooperative banking associate of FEC. Unbeknownst to the Posse, the Co-op applied for the grant through a CoBank program that provides charitable contributions to rural communities. 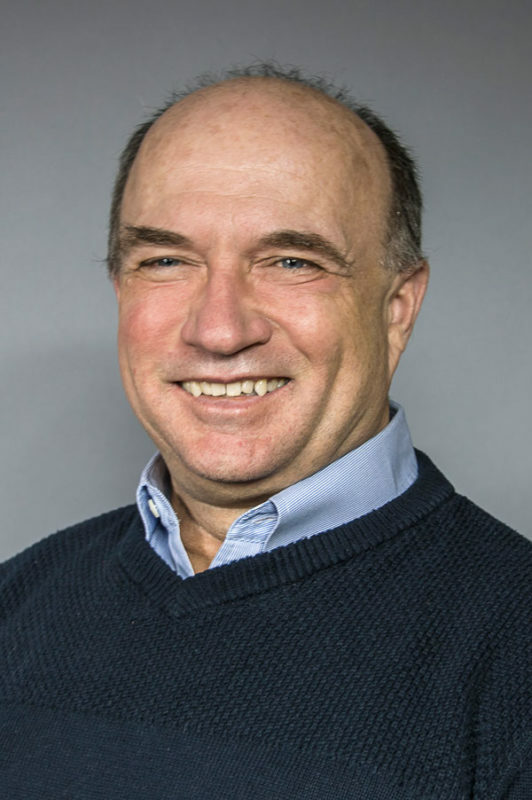 John Goroski, Lt. Commander of the Posse and also FEC’s Director of Regulatory Affairs, says he was completely surprised by the donation. “I had no idea the Co-op had applied on our behalf and was astounded by the news. 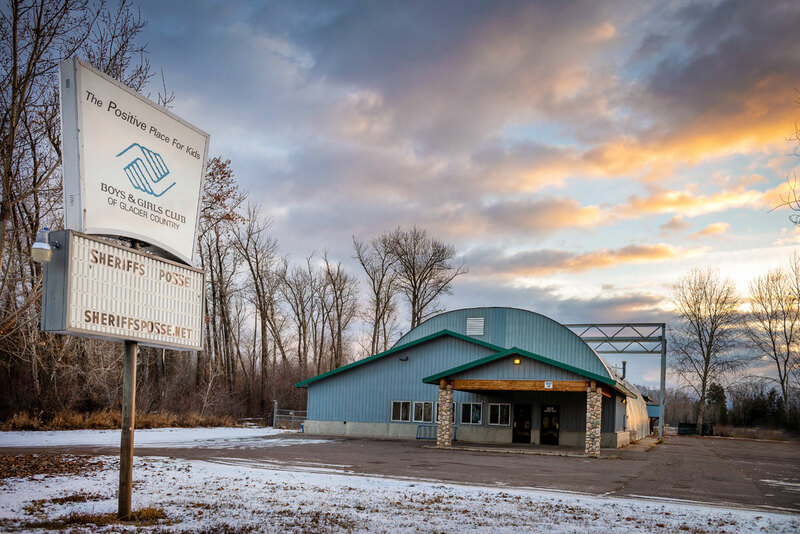 This will go a long way toward helping us meet our goals.” Those goals include the purchase of the former Boys and Girls Club building in Evergreen, which Fraser says is perfect for the Posse’s needs as a resource for the Sheriff’s Department. “We will be able to secure our equipment, use it as a training facility and most importantly, offer it as a community center. If we can build relationships and be a positive influence to the kids and families, it will bode well for the future of the Posse and the community alike.” The Posse is already utilizing the facility for meetings and youth sporting activities. 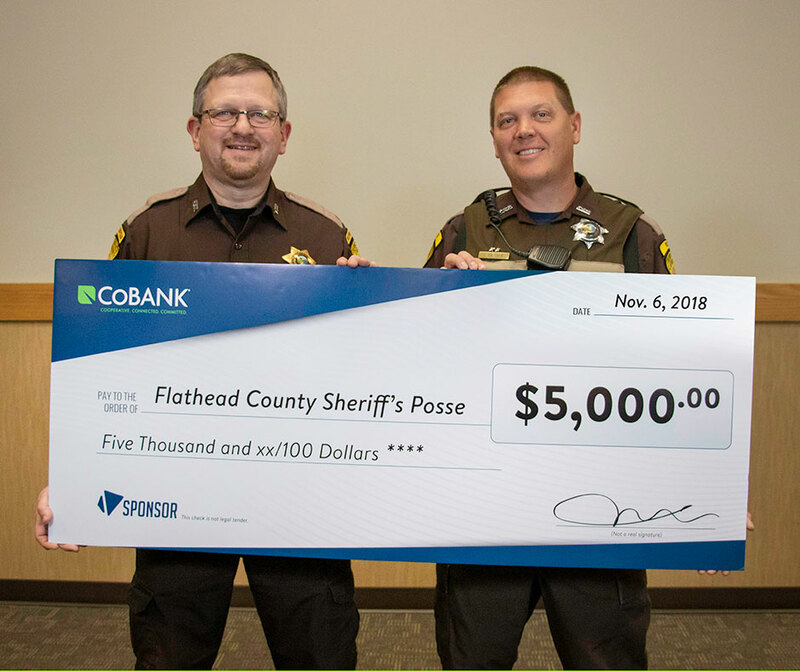 The Posse, a non-profit organization, was founded in 1946 and has a strong history of serving the Sheriff’s Department, to include providing security at public events like the Northwest Montana Fair. Commander Fraser says he is grateful to CoBank, Flathead Electric and the community for the support — financial and otherwise. The Flathead County Sheriff’s Posse has an ongoing capital campaign to pay for the building and make needed repairs. Donations are welcome and for more information (or even to discuss becoming a member) people are encouraged to go online or call 406-203-0797. 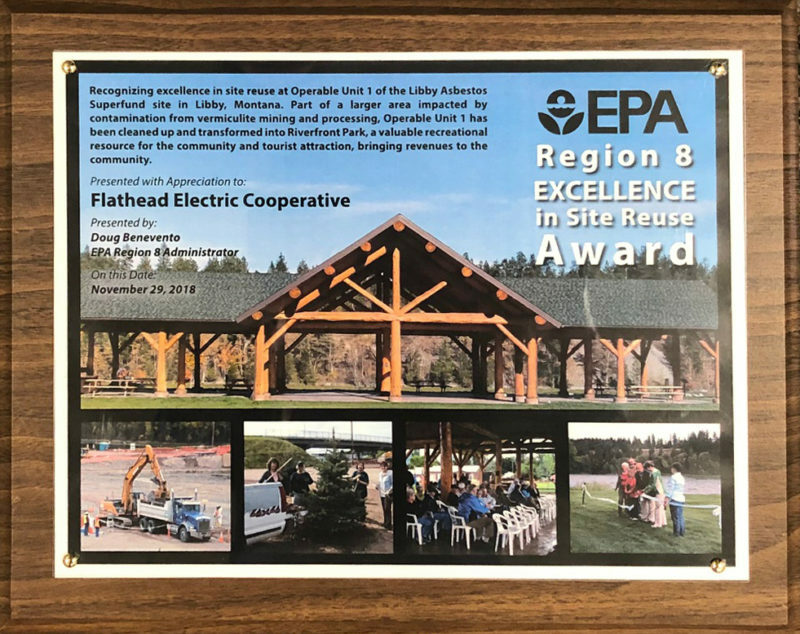 Flathead Electric has received an “Excellence in Site Reuse Award” from the Environmental Protection Agency. 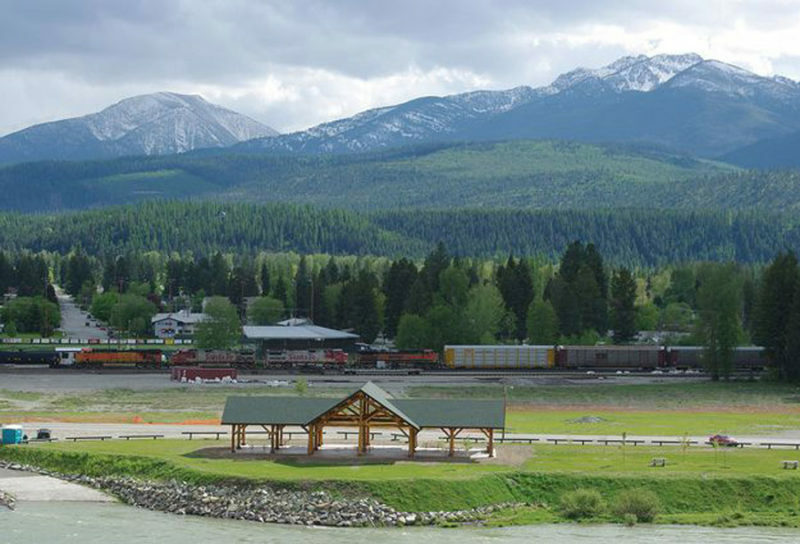 The award is for the Co-op’s part in helping to transform an area in Libby that was contaminated from vermiculite, into what is now Riverfront Park. The Co-op’s Roundup for Safety program provided a grant for safety lighting at the park, which has become a valuable recreational resource for the community. 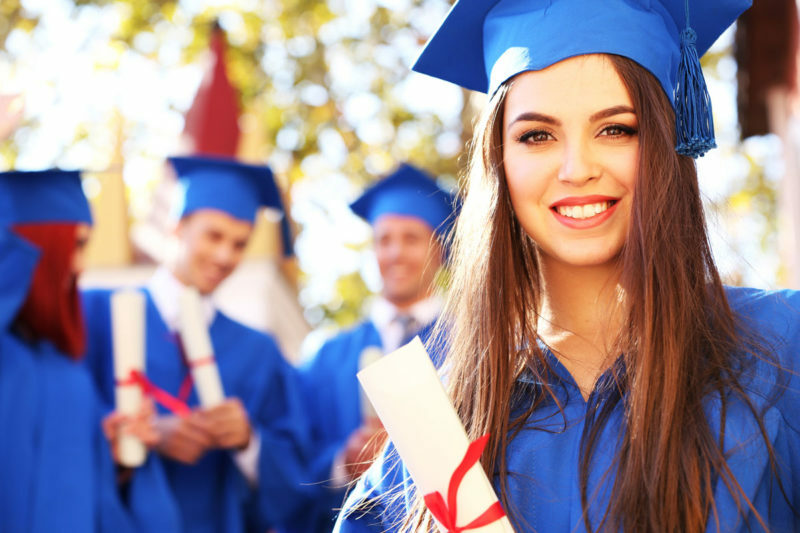 Scholarship money must be used to attend an accredited post-secondary education institution in Montana. Capital credit checks were issued to Flathead Electric Co-op members in December. Checks for some former members, however, went unclaimed because the Co-op does not have their current address. A full list of unclaimed capital credits is available on our website. If you know of a former member who may be on this list because they changed addresses, please have them call us at 406-751-4483 or 1-800-735-8489. We appreciate your assistance in this effort. 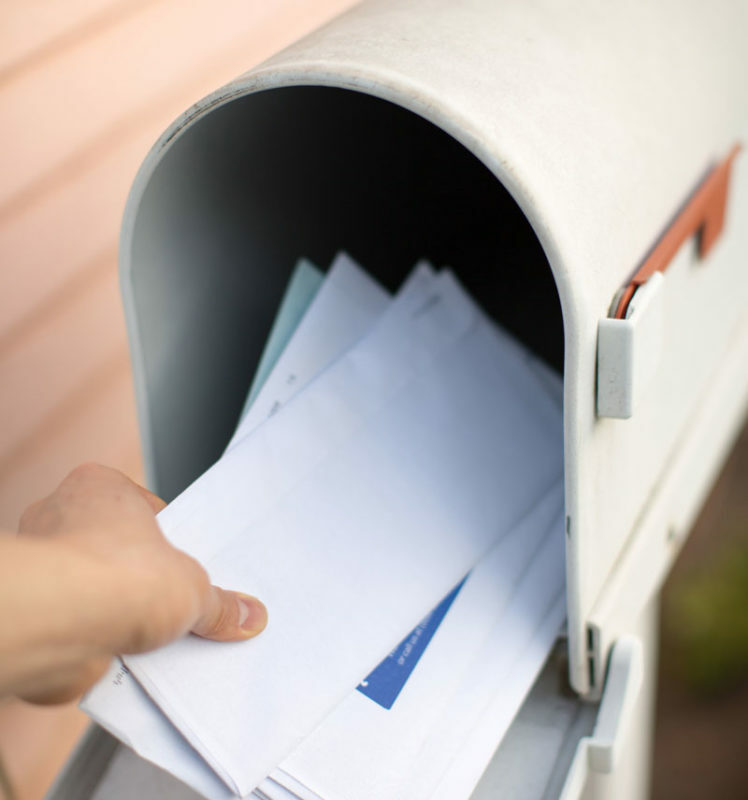 Remember, because capital credits may not be retired for several years, it’s important that you keep the Co-op informed of your current address. Q. What do you bring to your Co-op? A. Having a career in financial planning has allowed me to gain wisdom around family dynamics, money management, and communicating with people. I bring those skills to my work with Roundup. Q. What’s the best thing about serving on the Roundup for Safety Board? A. The blessings to me are many. I get to serve with a great group of people and see for myself the wonderful effects of the community working together to save lives and create a safer community for all. Q. If you had a super power, what would it be and why? A. I like the biblical admonition to get wisdom, so I would ask for more wisdom to put to good use. 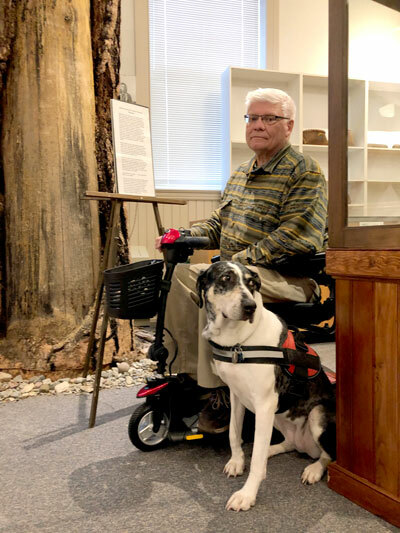 A $930 grant helped provide a mobility scooter for the Museum at Central School. Director Jacob Thomas says many members, volunteers and visitors are senior citizens. Roundup for Safety is a voluntary program for FEC members who round up their electric bills to the next dollar. This money goes into a fund for community safety projects. To apply for a Roundup for Safety grant, visit Roundup for Safety. Thank you to the thousands of Flathead Electric members who round up their bill for safety! Together, we are making a difference in our community.